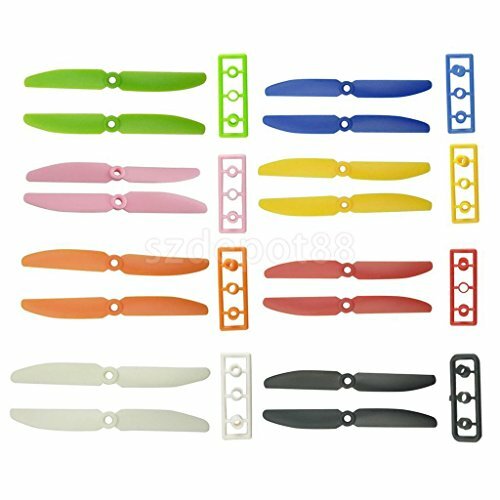 16x Multi-color Plastic Propeller Blades for 250 Drone Quadcopter QAV250 DIY by uptogethertek at Open Drone. Hurry! Limited time offer. Offer valid only while supplies last. 8 pairs 5030 prop propeller cw/ccw for 250 rc mini quadcopter qav250 - with high quality and durable performance - compact and mini size, easy to install. Material: plastic - model: 5030 - shaft: 5mm. Package includes: 8 pairs 5030 propeller.